This is 3D scatter plot with error bars. Please note that 3D Error Bar can only be created with 3D Scatter plots and 3D Surface plots. 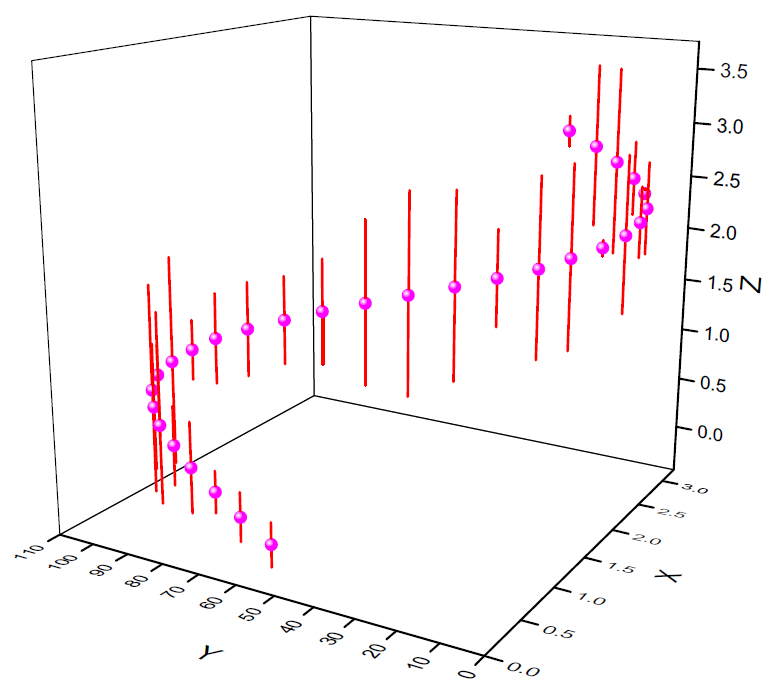 For a 3D scatter plot like this graph, the data of error bar should be a worksheet column in the source worksheet. For the 3D surface plot, the error bar should be a matrix in the source matrix sheet. Take another 3D graph as an example.